As some of you who read my blog(I don’t know if anyone actually does). may know, I like Apple products, actually I love them. They’re simple, elegant, a tad pricy but to me it’s worth it. They work seemlessly with each other, except my Macbook running on OSX Panther and I haven’t bothered to upgrade. 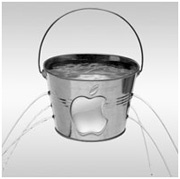 The other reason I love Apple is because I have totally bought into the marketing system they have created. From the early days of OSX and the candy coloured Macs, to the introduction of the iPod, iPhone and iPad. I have watched the rumours, leaks, discussion forums and anything else, that would give me insight into what the next great product coming down the line will be; and this is exactly what they want to happen. What makes an Apple product launch different then a samsung launch? I believe it’s in the supposed leaks, rumours and millions of discussions that happen way before a launch. But is it all concocted by Apple itself? Are they really behind all these supposed leaks and rumours, creating a frenzy that gets us talking about it? I think so. My first example is the famous “trademark filings”. Any rumour website will have at least one post a day about a supposed trademark or patent that Apple has filed for. They own a ridiculous amount of patents, and people then start talking about what those patents will be used for. My question is, how do people find out these things. Millions of applications are submitted for trademarks or patents, yet I never hear about what Kitchen-Aid has in store for it’s next blender! Does Apple siphon these things out to certain individuals, bloggers or certain sources, who they know will spread the word. I’m not saying they do for sure, but it would make a lot of sense, and be a genius marketing strategy. My next thought is directed at supposed “leaks”. How does such a massive company that is so protective of its privacy, keep on having so many product leaks! From pictures of the mother board or the outside shell of the new iPhone, little pictures pop up everywhere on the internet. These products are not made in different places all over the world. Iphones are made at Foxconn, in one factory. I would think it would be easy to tell who leaked a photo, no? I could be wrong but it yet again seems like Apple is behind it, leaking photos from the employee perspective to make it seem real. Again, I’m not against this idea, I think it’s genius, I just find it fascinating. There is the famous case of the lost iPhone 4 demonstrator at a coffee shop by an executive. That little stint certainly got people talking, so much so the police got involved, and people almost went to jail! Talk about creating a frenzy for your product, I’m sure Mr. Jobs was upset a product was left out in public, but I also can’t help think he didn’t mind all the free publicity. know the product will have some amazing features, and thats why people are going to buy it, and it’ll have a nice leather strap option I’m sure. The idea of them hiring the CEO of one of the most well known fashion lines in the world, to head “special projects” has got me pondering. Once again Apple has let out a confusing and thought-provoking headline, that will make myself and every other rumour addict around, searching for clues in the bowels of the internet for months to come!